This radio play piece was developed from a project that started in 2013 researching the counter-cultural histories of Bradford, and conversations with the people that played a role in them (see Mapping bRADford). 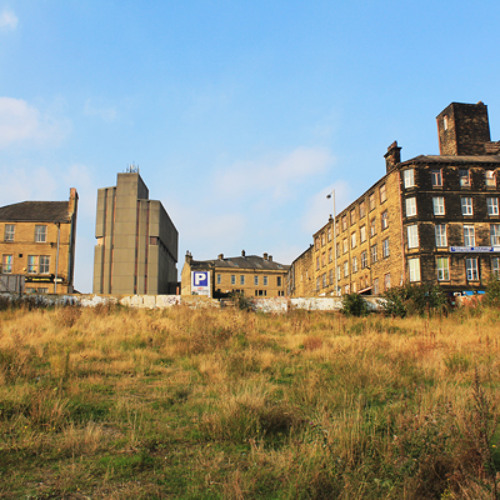 This outcome is a 20-minute audio piece that documents a guided walk around Goitside: an area of Bradford that was earmarked for regeneration by culture. The walk is derailed by interruptions and counterpoints from the audience as well as sound installations, music and poetry. Guided Goitside was devised and created by Black Dogs with input and contributions from: Iain Bloomfield Johnny Buck Gary Cavanagh Mary Dowson Robert Galeta Steve McCabe Chloe Pritchard and Dusty Rhodes Music by Andy Abbott, David Thomas, Oliver Thurley, The General Will, Voorhees and The Instant Automotons Supported by Arts Council England, Bradford Community Broadcasting, Community Media Association, and the University of Bradford.